Martha and Snoop’s Potluck Dinner Party is a cooking show on VH1 where Martha and Snoop tackle a new food every episode. They invite celebrity guests to cook, drink, and dine with them, and the whole audience gets to join in the fun. They serve signature cocktails, play ridiculous games, and have a great time. This is a star studded dinner party full of excitement, laughter, and of course food. Along the way, Martha and Snoop have some tricks up their sleeves. There’s everything from surprise drop-ins and musical guests to celebrity secrets and unexpected hijinks that will blow your mind. We all kind-of love their strange and beautiful friendship. Snoop Dogg wearing his balloon crown! We were commissioned to make 70 balloon hats for the audience of Martha and Snoop’s Potluck Dinner Party. 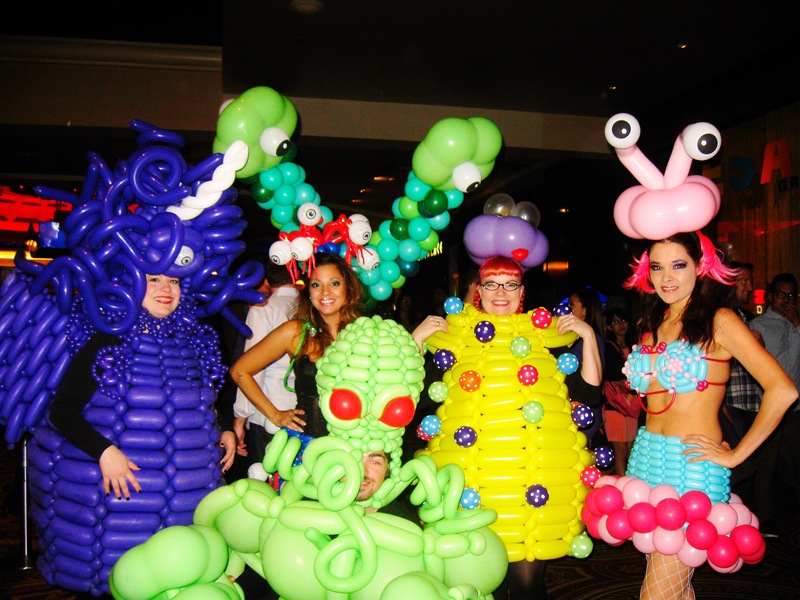 They also wanted balloon hats for Martha, Snoop (who requested a red and blue crown), and guest Jamie Foxx. The balloon hats were such a success, they had us make balloon hats for the crew as well. If you haven’t done the math, this is a lot of balloon hats! Tawney B, Erika Comperoni and Suzanne Haring set to work making fun, colorful, and lively hats for everyone. The hats gave a new attire to the whole show and the audience loved it. These hard working ladies decorated the audience, and brought smiles to everyone. The cast, crew and audience looked amazing. There were so many colorful balloons, and the food was delicious. It was really a great party! 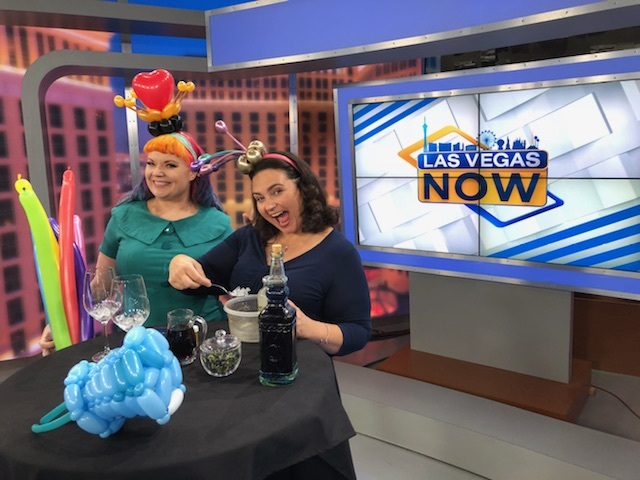 The girls really enjoyed making balloon hats on Martha and Snoops Potluck Dinner Party, and hope to return in the future to create more fun memories with the cast and crew. You can view the whole episode here!